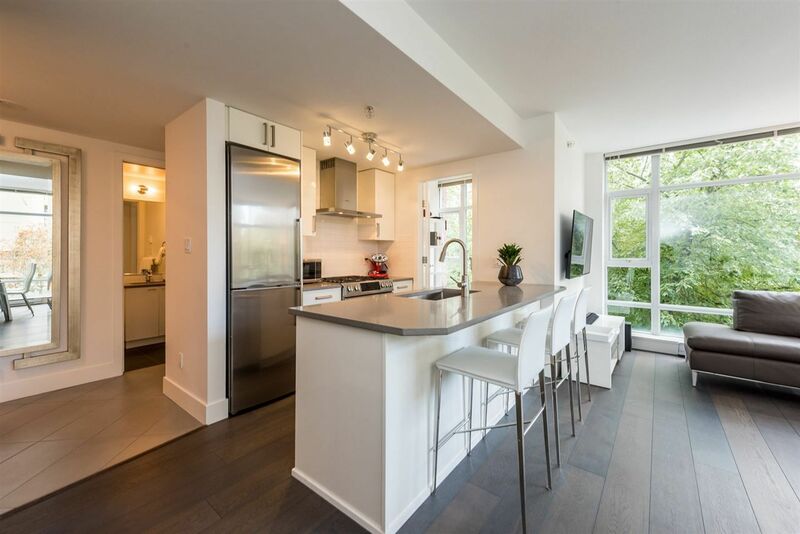 Check out this fantastic FULLY RENOVATED 2bd/2bath CORNER suite with wall to wall windows located in a CONCRETE building on a tree-lined street surrounded by lush gardens. Great location Walkscore rating 97! Bike score 99! Steps to restaurants, coffee shops, shopping & transit. You'll love this floor plan feels house like! 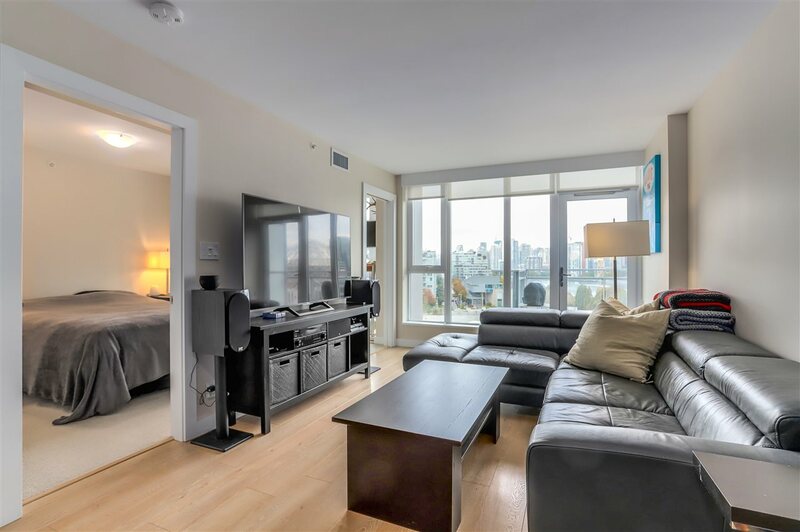 offers top of the line appliances, Quartz counters, bamboo flooring, a large dining area, in suite LAUNDRY. Bathrooms offer glass/marble accents & combination rain head shower in ensuite. Huge master bedroom accommodates a king bed! Nice size private outdoor patio. Includes secured parking & locker. Great building!